Web Guiding Systems are used to automatically guide all type of all type of flexible material of any width, under any load, at any seed. Web Guiding System which serves various application for all type of flexible printing, packaging & converting machineries. Web Guiding System available with Edge Guiding, aligner, Tracking Roller Assembly etc…. 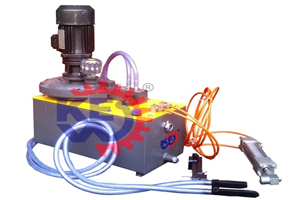 for all type of slitter rewinder machine manufacturer for various applications. Our Web Aligner Structure with heavy duty M. S. Tank and Plate depending on client’s requirement. Web Aligner Operating System including Electronic of the film Photocell sensor for edge, Electronic 0 – 5 HP AC Motor, Electrical Panel Board for Operate the complete Unit, Hydraulic Cylinder – Adjuster – Oil Pipe.